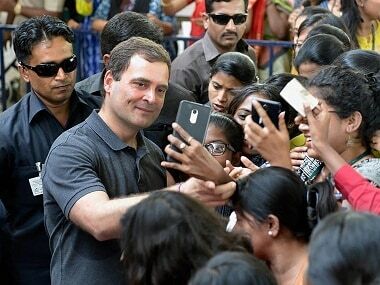 'Modinomics', the epithet used to describe the economic policies of the Narendra Modi-led government, in the last five years, has been compared with 'Manmohanomics', repeatedly and recurringly. While comparisons are often odious, in this case, it throws up interesting observations that have their own story to tell. For instance, on the fiscal front, the Modi government has, without compromising growth, reined in the fiscal deficit to a mere 3.9 percent of the Gross Domestic Product (GDP) in 2015-16, which fell further to 3.5 percent in 2016-17 and 2017-18, which is a huge improvement from the 5.7 percent in 2011-12 and 4.9 percent in 2012-13, under Manmohan Singh, who floundered between wanting to be a good economist and an astute politician. In fact, fiscal deficit in 2018-19 is estimated to have been contained at 3.4 percent of the GDP, which is not a mean achievement in an election year. Coming back to the Modi government, indeed, an area of exemplary performance has been on the front of external finances and is reflected in the fact that, while India’s external debt rose from $409 billion in March 2013 to $486 billion in March 2016, and then $514.4 billion in June 2018, India’s debt service ratio during this period improved by leaps and bounds, from an abysmal 5.9 percent under the Congress dispensation in 2013, to a resounding 8.5 percent under the Modi government, as of March 2018. 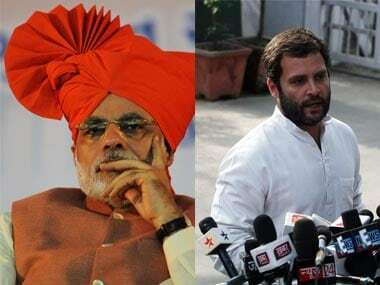 The fact that as of June 2018, short-term debt as a portion of overall debt stood at just 19.19 percent, from an extremely uncomfortable 23.6 percent under Manmohan Singh as the prime minister in 2013, is indeed the best vindication of the fact that Modinomics has married high growth with low inflation without compromising on external stability. The fact that foreign inflows, at $223 billion, in the first four years of the Modi government are almost 50 percent higher than the amount roped in under the first four years of United Progressive Alliance-2 (UPA) has, of course, been the icing on the cake. “Dont find fault, find a remedy”: this quote by Ford best exemplifies the visionary, problem-solving leadership of Modi, who has chosen to find opportunities in adversities, by treading a path rarely travelled. 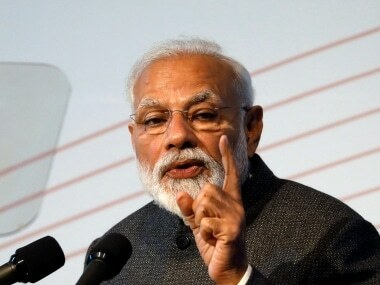 Indeed, the strongest endorsement of Modinomics comes from CEBR’s World Economic League Table Report of 2018, which states that India will overtake Britain at $2.65 trillion, to become the 5th largest economy in the world shortly, in nominal GDP terms, after having earned the enviable distinction of already having toppled France to become the 6th largest, in 2018. Amongst the many firsts that the Modi-led government can proudly take credit for, is the fact that today, all of India’s 5,97,464 inhabited villages are electrified; Akodara village in Sabarkantha district of Gujarat is India’s first digital village and Mawlynnong in Meghalaya is Asia’s most Swachh (cleanest) village, thanks, largely, to more than 9.56 crore toilets built under the Swachh Bharat Abhiyaan across India on a war footing. Bulumgavan village in the dense forests of Melghat in Maharashtra, and Leisang in Manipur, finally received electricity for the first time in 70 long years; Tripura came onto India’s broad gauge map for the first time, only in 2016, despite becoming a state in 1972; Manipur witnessed the commencement of construction of the 141-metre high Noney rail bridge, the highest rail bridge in India; and of course, India joining an elite few, like Russia, China, Germany and Sweden, after Modi launched India’s first 12,000 horsepower electric locomotive from Madhepura in Bihar, on 10 April 2018, built jointly with French giant Alstom, showcases the success of "Make in India". What an irony that the Madhepura electric locomotive project, which had been conceived way back in 2007, suffered from policy paralysis and political apathy, till the Modi government decided to operationalise it. The added success of "Make in India" is evident from the fact that while there were only 2 mobile handset manufacturing factories in India in 2014, today there are more than 200 such units, with global behemoth Apple Inc.,using India to assemble its iPhones. Undoubtedly, if there is one scheme that has revolutionalised the lives of millions of women, particularly in rural India, it is the Pradhan Mantri Ujjwala Yojana (PMUY), launched in May 2016, initially targetting five crore connections to the below poverty line (BPL) families by 2019, with the support of Rs 1,600 to each family. By March 2019, almost seven crore connections had been given under the scheme across 715 districts, of which 48 percent belonged to the SC/ST categories. The Ujjwala scheme has been widely appreciated, as the Census of 2011 showed that nearly 12.1 crore households used traditional stoves (chullha) in India. Out of 27 crore households, only 13 crore had LPG connections when the Bharatiya Janata Party (BJP) government took over in May 2014. After that, over 12 crore households have been added in barely 4.5 years of the Modi dispensation, which is hugely commendable. Of this, well over 6 crore addition was through Ujjwala alone. At present, the three oil marketing companies – Indian Oil Corporation (IOC), Bharat Petroleum Corporation (BPCL) and Hindustan Petroleum Corporation (HPCL) – together have a consumer base of 24.72 crore active LPG customers in the domestic category, which is being served by 21,566 distributors. As on 1 December 2018, India had a total LPG penetration of 90 percent. Based on government data, nearly 80 percent of the Ujjwala consumers come back to the oil marketing companies for a second refill, while 45 percent take three or more refills in a year. Over 42 percent beneficiaries of Ujjwala are Dalits. To promote the scheme, the government has also recently launched LPG Panchayats. The PMUY vindicates the very ethos of "Modinomics", which seeks to transform societies for the better,through an approach that focuses on effective execution within strict timelines, as opposed to "Manmohanomics",where many schemes remained paper tigers, only. CNG stations to dispense CNG, which is being pushed as a cheaper alternative to polluting petrol and diesel as auto fuels, have increased to 1,470 by 2018, from 947 in 2014 under the previous Manmohan Singh government. Modi wants this number to cross 10,000 in 10 years and has been working towards that. Over Rs 22,000 crore is being spent on laying new pipelines that will transport natural gas to the poorly-connected eastern states of Odisha, West Bengal and further into North-Eastern states. This will make the environment-friendly fuel available for industry and domestic use, so that natural gas becomes the preferred choice and its consumption is slated to rise 2.5 times in the next decade. India consumed 142 million standard cubic meters per day of natural gas in the fiscal year ending 31 March, 2018. The gas sector is an excellent example of Modi government’s governance motto of “Reform, Perform, Transform”. Reforms taken by the BJP-led government between 2014 and 2018 have improved the performance of the sector, what with gas infrastructure being strengthened via a nation-wide gas grid, city gas distribution projects and raising liquefied natural gas (LNG) import capacity. At least 3 lakh youth will get employment going forward in the (recently concluded) 9th round of bidding (for city gas licenses), based on rough estimates. into bio-CNG. This would not only address the problem of agri-residue but also increase farmer income. Besides, 12 modern bio-refineries to convert biomass into fuel are being set up at an investment of Rs 10,000 crore. Blending of sugarcane-extracted ethanol in petrol has jumped four times since May 2014 and the target is to take it to over 10 percent levels of 3-5 percent. All these efforts will help fulfill India’s global commitment of reducing emission intensity by 33-35 percent and producing minimum 40 percent electricity from non-conventional sources by 2030, something which should have been done by erstwhile dispensations, yesterday. "Manmohanomics", clearly, failed on this count. If laying the bedrock for improving India’s 'gas coverage' and reducing the country’s unwanted dependence on conventional fuels, by taking groundbreaking measures which will hold India in good stead going forward, has been one of the defining and high points of Modinomics, equally, it also lays bare that Manmohanomics, did not do enough to reduce India’s “Fuel Vulnerability”. Again, by early 2019, the Modi government had achieved all of these – electrification of over 2.5 crore households under the Saubhagya Yojana with effect from October 2017, over 1.9 lakh km of roads built under Pradhan Mantri Gram Sadak Yojana, vaccination of well over 3.28 crore people under the Indradhanush scheme, building 9.56 crore toilets under the Swachh Bharat Abhiyaan, commissioning of over 33 crore LED bulbs that saved over Rs 17,000 crore and making 5,36,724 villages Open Defecation Free (ODF). Again, distribution of over Rs 5.37 lakh crore via Direct Benefit Transfer (DBT), in 4.5 years to the rural and urban poor, covering 5,441 schools under Atal Tinkering Labs, due recognition to 14,706 start-ups, scholarship applications received from over 1.26 crore people on the National Scholarship Portal, 23.66 lakh registered users under the Swayam scheme and benefits to 2.38 crore pensioners under the Jeevan Pramaan scheme and 1.24 crore people under the Atal Pension Yojana are also among the list of achievements. Extending paid maternity leave from 12 weeks to 26 weeks for pregnant women, establishing over 13,000 Kaushal Vikas Kendras, disbursing over Rs 35,000 crore to Indian armed forces and veterans under the One Rank One Pension (OROP) scheme, extension of accident insurance to 13.98 crore people under Pradhan Mantri Suraksha Bima Yojana (PMSBY), life cover to 5.47 crore Indians under the Pradhan Mantri Jeevan Jyoti Bima Yojana (PMJJBY) and insurance to 14.39 crore farmers under the Pradhan Mantri Fasal Bima Yojana (PMFBY) are also in the list of achievements. Distribution of over 17.17 crore Soil Health Cards (SHCs), distribution over Rs 1.69 lakh crore as subsidies via Aadhaar, over 1.35 crore farmers covered under e-NAM for better pricing of farm produce, setting up of over 3 lakh Common Service Centres (CSCs), versus just 84,000 that existed in 2014, besides, of course, opening over 34 crore Jan Dhan accounts, of which more than 50 percent belonged to women, to ensure universal financial inclusion, in its truest sense, were also the gains during the period. Jan Dhan accounts, as of January 2019, had deposits in excess of Rs 89,000 crore. One area that was grossly neglected under successive Congress governments, including Manmohan Singh, was higher education. Reversing that trend, besides of course giving autonomy to Indian Institute of Managements (IIMs), between 2015-16 and 2016-17, the Modi government also set up seven new IIMs in Amritsar, Bodh Gaya, Nagpur, Sambalpur, Sirmaur, Vishakhapatnam and Jammu, taking the total number to 20. In September 2018, the government decided to construct permanent campuses for these seven IIMs at an area of 60,384 sqm per IIM, with roughly 600 students per IIM, with the total cost assessed as Rs 3,775.42 crore. With respect to IITs, the Modi government’s track record has been nothing short of exemplary, with seven Indian Institute of Technologies (IITs) in Jammu, Chhattisgarh, Goa, Kerala, Jharkhand, Andhra Pradesh and Karnataka being set up between 2015 and 2016, taking the total tally to 23, as of 2018. Again, of the 21 All India Institute of Medical Sciences (AIIMS) in India, 14 were announced, where work has either been completed or is at different stages of completion, in the last 4.5 years of the Modi government, with the 22nd AIIMS, coming up in the state of Haryana. Add to that the fact that in December 2018, the Modi government decided to green-light a proposal with an initial grant of Rs 65 crore, to give Jammu and Kashmir’s Ladakh region, its first ever university in Ladakh, a long-standing demand of the people from the region, including those from Leh and Kargil districts. "Modinomics" has focused on deliverables, more than anything else. Be it the Kollam bypass in Kerala, bringing the "Sitapur to Lucknow" railway track on the broad gauge network after 136 long years, or paving the way for a direct train service from Delhi to Leh, or for that matter, bringing Ladakh under the ambit of the national grid, Modinomics has set the bar high in terms of deliverables. Again, AMRUT, along with schemes like Heritage City Development and Augmentation (HRIDAY) and the ambitious “Smart City” mission, at a total cost of Rs 2.03 lakh crore, with the ability to impact 9.96 crore urban Indians, are projects that are set to transform India in the years going forward, like never before. Again, the fact that Moody’s upgraded India’s sovereign rating in November 2017 to Baa2 from Baa3, for the first time in 14 long years; the fact that India moved up by 65 places at rank 77, in the World Bank’s global, Ease of Doing Business (EODB) rankings in the first 4 years of Modi’s tenure and the fact that India’s forex reserves hit a lifetime high of $424.86 billion in early April 2018, are all a ringing vindication of the stellar pace of reforms under Prime Minister Narendra Modi. Apart from EODB, Modinomics has scored smartly on various other counts too – India improved its ranking in the Global Innovation Index (WIPO) from 76 in 2014, under an incompetent Manmohan Singh, to 57 in 2018, under Modi; from 65 in 2014, to 40 in 2018 in the Travel and Tourism Competitiveness Index; from 30 to 14 in the Climate Change Performance Index in the same period; from 40 in 2014, to 15 in 2018, in the e-Participation Index (UN); and from 118 to 96 in the e-Government Index (UN), during the same period. This is a far cry from 1990-91, when, saddled with forex reserves of just $1.2 billion, India had to pledge 67 metric tonnes of gold with the International Monetary Fund (IMF), to raise a paltry sum of $600 million. Even as recently as 2012, Standard & Poor had downgraded India’s credit rating to just a notch above junk status, courtsey, the Congress led regimes, which had driven the economy to a dangerous precipice. Growth with high inflation is meaningless as it hurts the poorest and the middle class, the hardest, and indeed, it is here that Modinomics scores handsomely, over a jaded and tired Manmohanomics. The Modi-led government has won the war on inflation, resoundingly. Cumulative Consumer Price Index (CPI) inflation has declined to 3.41 percent in April-March FY2019 compared with 3.59 percent, in April-March FY2018. The CPI inflation has consistently declined from 5.9 percent in FY2015 to 4.9 percent in FY2016, 4.5 percent in FY2017, 3.6 percent in FY2018 and further down to 3.4 percent in FY2019. The CPI component of food and beverage inflation increased to 0.66 percent in March 2019 from (-) 0.07 percent in February 2019, but the core CPI in March 2019 eased to 5.02 percent, showcasing that the Modi government's ability to rein in inflation has been successful,with no "Ifs" or "Buts", whatsoever. This is a huge improvement from the Manmohan Singh regime of 2013, when the retail inflation and food inflation stood at 11.24 percent and 14.72 percent,respectively. Speaking of transforming the lives of rural poor, in 2018-19, over 54 lakh homes have been completed under Pradhan Mantri Awas Yojana Grameen (PMAY-G). In 2017-18, around 38.67 lakh houses were built under this affordable housing scheme that aims at providing housing for all by 2022. In 2016-17, 32.22 lakh homes were built. Contrast this with the number of houses completed under the Indira Awaas Yojana (IAY); only 10.49 lakh homes were built in 2012-13, under the Manmohan Singh government, reinforcing the lack of political will to go that extra mile for the poor and the marginalised. Moving away from affordable housing, it is time to take stock of an area that has unarguably been the worst legacy of Manmohanomics – the non-performing asset (NPA) mess and the rampant crony capitalism that it festered. In sharp contrast, be it amendments to the Chit Fund Act 1982, operationalising the Benami Transactions (Prohibition) Amendment Act, 2016, or the NPA Ordinance that was promulgated in May 2017 to authorise RBI to intervene in directing banks to resolve default cases under the Insolvency and Bankruptcy Code (IBC) – the Modi government has, in a short span of 4.5 years, brought sweeping economic reforms to uproot corruption, with the crown jewel being the Insolvency and Bankruptcy Code (IBC), which has successfully resolved thousands of default cases, via the National Company Law Tribunal (NCLT). However, it is the Fugitive Economic Offenders Bill 2017, which gives the authorities the power to confiscate and sell the assets of wilful defaulters, which is, by far, one of the boldest reforms by the Modi dispensation, to nail scamsters who wish to evade the due process of Indian law courts. That India’s 2nd lunar exploration mission, Chandrayaan-2, would be commissioned in 2019, is not the big story. The big story is certainly the fact that India’s second mission to the Moon, to be launched by GSLV Mark III, is an indigenous mission, including a Lunar Orbiter, Lander and Rover, all developed in India, under the aegis of the Modi government, giving a whole new meaning to the concept of "Make in India". As if that was not good enough, work is progressing at a rapid pace on Gaganyaan, India’s first manned mission into the space, to be commissioned in 2021-2022, which would make India only the 3rd country in the world after the US, Russia and China, to do so. More importantly, of the three people who will venture into space as part of the Gaganyaan, one will be a woman. This should be also be a wake-up call to those who castigate the Modi government for not doing enough for women. 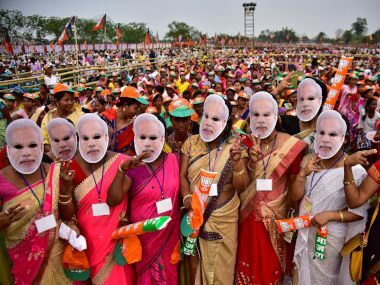 It would be apt to conclude by saying that Modinomics, in true Antyodaya style, has sought to bring development to the doorstep of the last person standing, to help him or her aspire for the impossible, and as they say, impossible is nothing, especially when you have a leader like Modi at the helm. 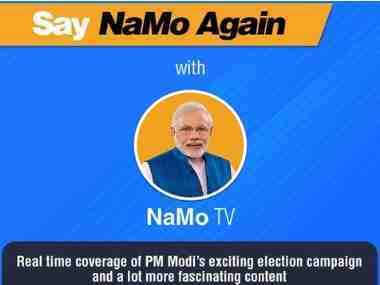 Modinomics has underpinned the fact that the largest democracy in the world needs a strong leader who can deliver political stability and economic development that is comprehensive and local in its roots but global in its vision. This is extremely important, more so in contemporary times, when rising global protectionism and xenophobia have become the order of the day.